DoctorWho.TV which is the official Doctor Who website has announced that the missing two episodes of The Ice Warriors will indeed be animated. 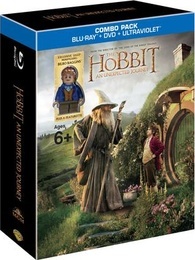 It was announced before that it would be like the VHS release with audio and telesnaps. This is good news and I am happy they will be animating episodes 2 and 3 of The Ice Warriors and look forward to the release of this DVD later this year. Here is a quote from Dan Hall who is in charge of the making of the DVD and who works for and is the Managing Director of Pup Ltd Media Consultancy. “We’ve been discussing the various ways Qurios could reconstruct these episodes for over three years. So it’s really, really satisfying to finally see them animated. Qurios have a great track record in excellent and innovative animations”. 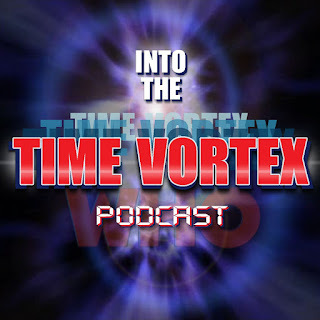 This is good news for all fans of Doctor Who and the classic era and hopefully we get more animated stories to go along with this years releases of The Reign of Terror, The Tenth Planet and The Ice Warriors. Enjoy a video from the upcoming release below. 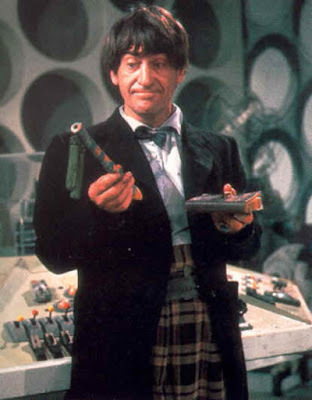 The newly regenerated 3rd Doctor has arrived on earth the worst for wear as he has been traumatize by being forced to regenerate by the Time Lords after his trial. His exile on earth hasn’t started off all that well as he is hospitalized and almost kidnapped and then grazed by a bullet from a UNIT soldier. 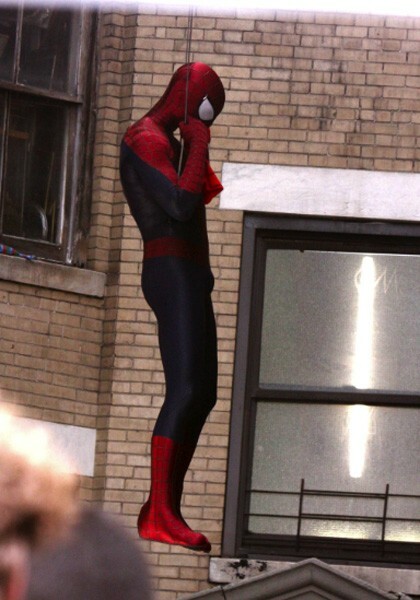 Not a very good start in your new body. 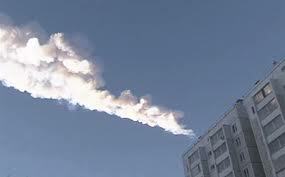 Over shadowed by those events was a mysterious asteroid shower with quite a few of them making their way to earth. But the problem is these are not your ordinary space debris as The Nestene Intelligence is was part of that and that act was the first salvo fired in the invasion of Earth. 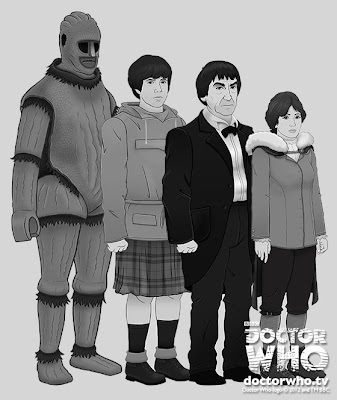 With the control of plastic and the plastic creatures the Autons to control its up to The new Doctor and his new companion Liz Shaw to stop them with the aid of UNIT and the Brigadier. The TARDIS is broken and The Doctor has sent Jamie out to get some material to help with repairs. While out he comes upon a stranger who is being robbed in an alley and promptly goes to his aid and fends off the mugger. In gratitude the stranger gives Jamie a book as a reward. Jamie returns to the TARDIS and gives the book to The Doctor. The book turns out to be evil and it turns out to be the Necronomicon which is an old book that has power. 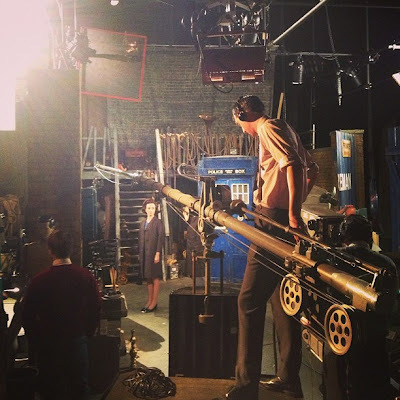 Lots of power as it was able to pilot the TARDIS to the edge of universe where the Nameless City resides. There resides The Archons who is older than time themselves and what they want is the TARDIS so they can take over the universe. 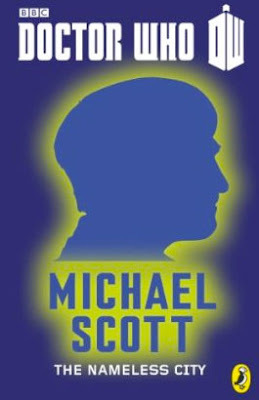 This is the second eBook released to celebrate the 50th Anniversary of Doctor Who. 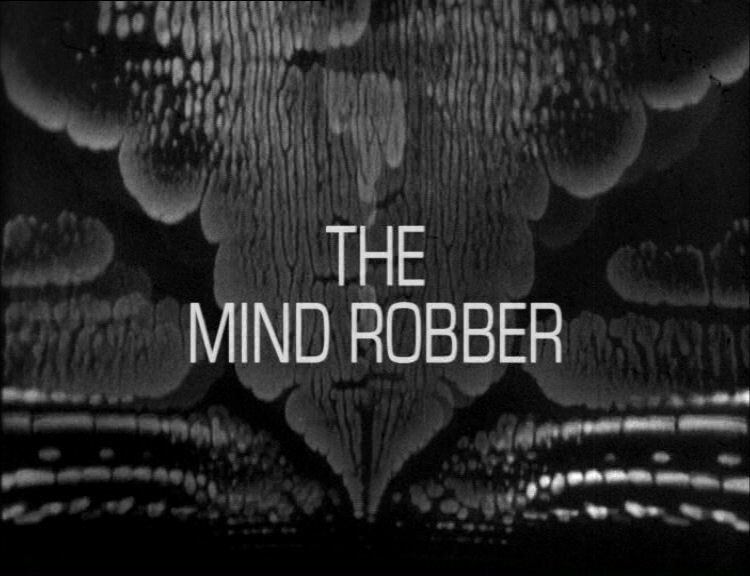 This time we are treated to a Second Doctor adventure and if I had to guess takes place between Fury From the Deep and The Wheel in Space. 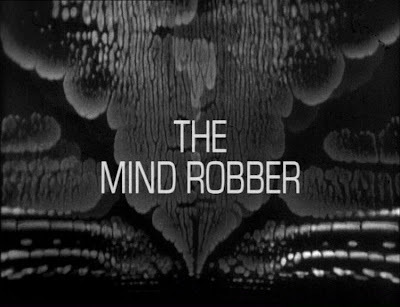 For the most part I enjoyed the story even though it didn’t feel like a Second Doctor story. For the most part it felt more like a story for one of the later Doctors as it just didn’t have the feel. 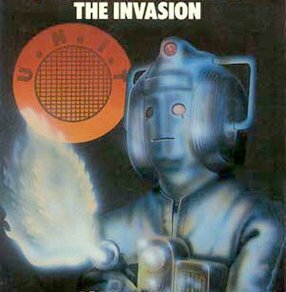 Sure the author used his catch phrases and had Jamie as a companion but it just didn’t grab that era. It felt like it could have been better if it was for another Doctor. With that said I do have a pretty big problem with it. For one the messing with the origins of the TARDIS and the Time Lords just did not set well with me. In the first book we had the Doctor get a new hand by cloning it and having it surgically put on his arm. 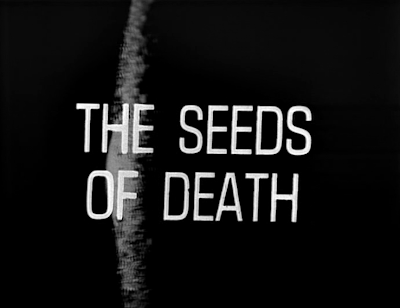 Now in The Nameless City we find out that the Archons actually invented the TARDIS by growing them from seeds and that the Time Lords stole that technology and knowledge from them. WHAT!!! 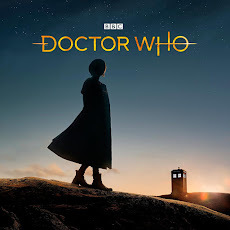 OK I know they are doing something special by having prominent children’s authors coming on board and writing a short story for Doctor Who to help celebrate the 50th Anniversary but letting them rewrite the mythos of Doctor Who is just wrong. I know this is just a book and probably not canon but could they at least stay true to the history of the show. Even if you think it’s a good idea to explore this tthen that fine but doing it in a short story is just wrong as you should be able to explain more than what you can do in a short. I just didn’t like what they did in this story and felt it should not have been mentioned. Plus it made the overall story not as enjoyable as it was to that point. 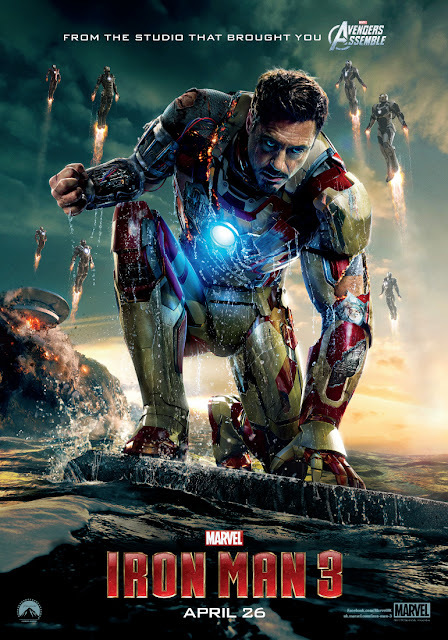 Even with the problems I had with it the story was enjoyable but then that happened and I was so put off. Hopefully the other stories in the series will try and stay true to Doctor Who and be enjoyable to read. The US TV listing magazine TV Guide Magazine has nominated Doctor Who in it's Fan Favorites Awards. Doctor Who is nominated in the Sci - Fi category. You can start voting at the link below and Doctor Who is some strange company as some show's kind of make you wonder if they are sci - fi or not. The other nominees are Game of Thrones, Being Human US, Grimm, American Horror Story, The Walking Dead, The Vampire Diaries, Tru Blood, Once Upon A Time and Supernatural. Wished Fringe was nominated but oh well. 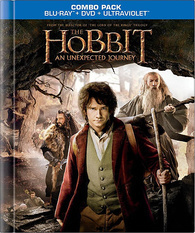 Here is some information on the March 19 Blu-ray release on the first chapter in The Hobbit movie trilogy. 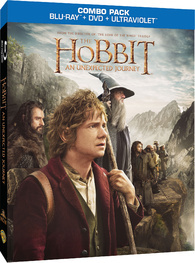 The 2 Disc set includes the movie on Blu-ray, DVD and Ultraviolet (Digital Download) and will include video blogs, trailers and game trailers. 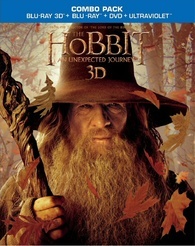 A single disc release will include the movie only. The WB Shop has an exclusive as well. 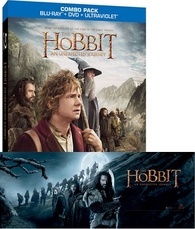 There is also a Best buy exclusive with a Golem cover and numerous foreign covers as well. BUT WAIT - the extended edition with 20 minutes extra footage will be out by the Holidays of this year so you may want to wait. Also, there is no word on if there will be a High Frame Rate version released. 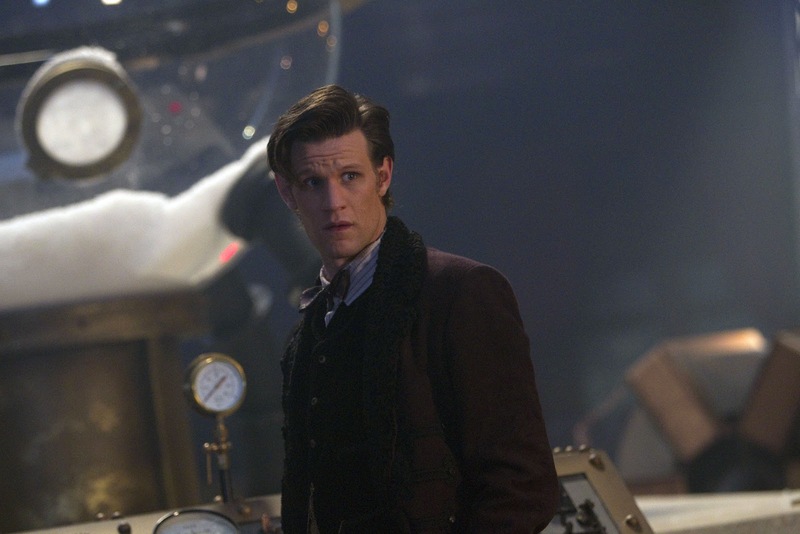 The Doctor, Jamie and Zoe land on what they think is Earth during World War One in the year 1917. 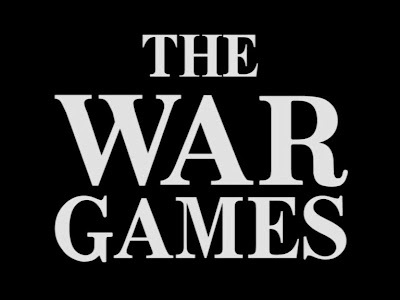 What has The Doctor concerned is how the General is able to convince everyone that they are German spies even though the officers earlier proclaim that they are not. 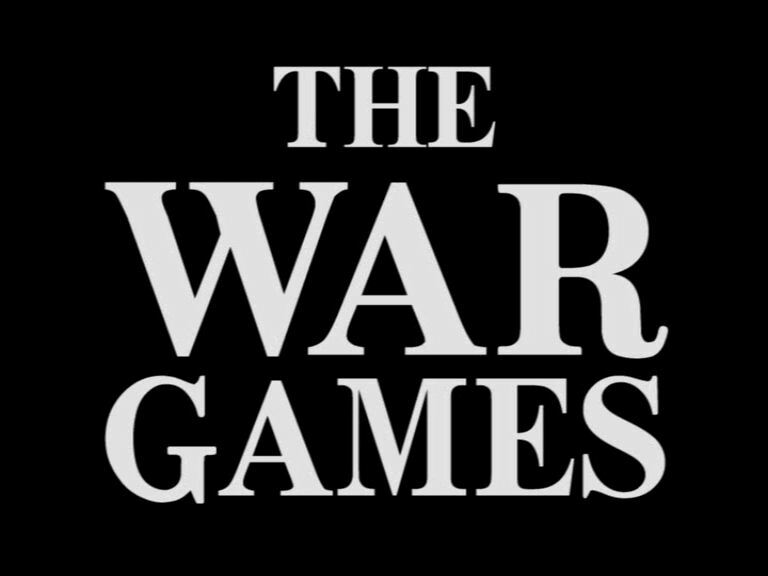 But everything isn’t what it seems as Zoe finds a communications unit which shouldn’t be in 1917. After escaping a firing squad and many recaptures after freeing Jamie from military prison The Doctor, Jamie and Zoe with the aid of Lady Jennifer and Lt. Carstairs drive through a fog and appear to have driven out of No Man’s Land. Where they end is utterly impossible as they are attacked by Roman soldiers. The Doctor suspect that they are no longer on Earth and that something strange is definitely going on. 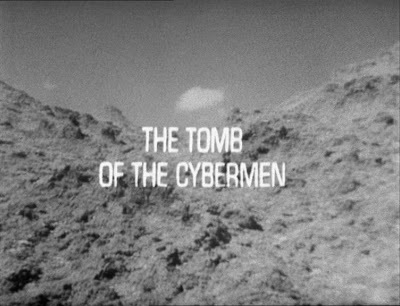 Thus begins the last adventure of The Second Doctor and his companions Jamie and Zoe. The Long Island Doctor Who Convention has added Daphne Ashbrook to the guest list. 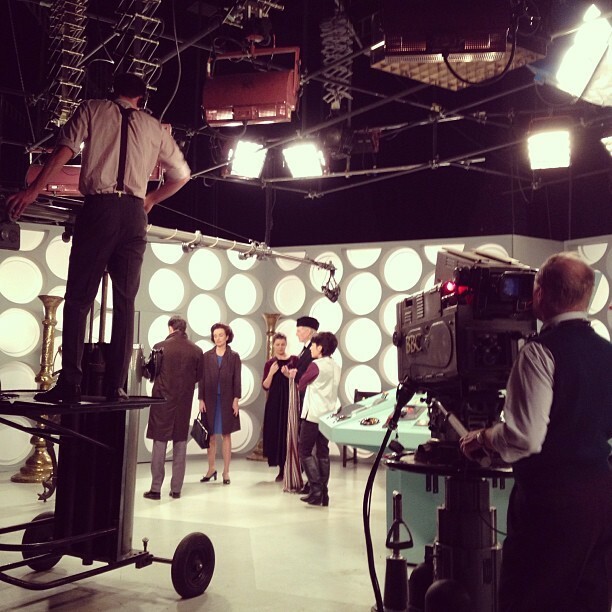 She Joins Frazer Hines and there is more announcements this week with another companion and a Doctor. 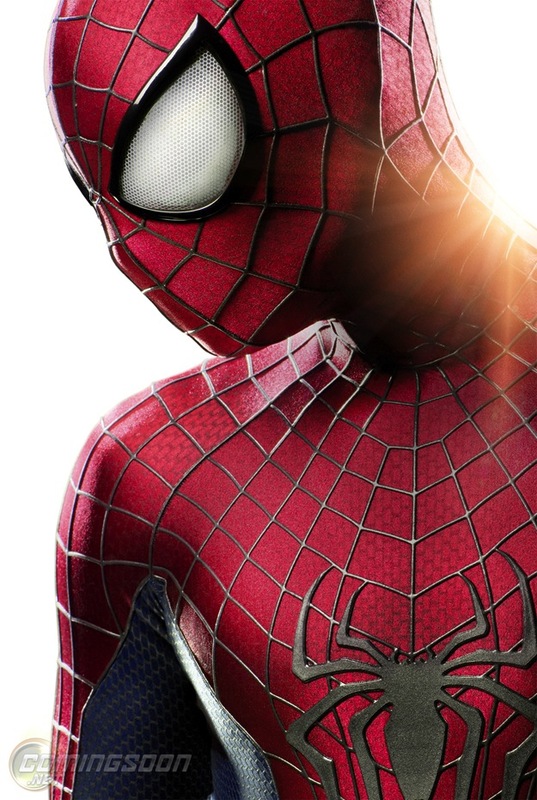 Below are some photos from Aintitcoolnews.com and Just Jared.com of Spiderman in action and Mary Jane Watson, played by Shailene Woodley. Holmes is now curious about the Demon that seems to be terrorizing Liverpool and decides to postpone going back home to London to see if he can figure out what is actually doing the terrorizing. Holmes goes to the coroner and looks at the body to see if he can find anything out of the ordinary. Satisfied with that he heads to St. Mary’s Church the scene of the crime and does a look around where things appear pretty strange. Holmes is pretty satisfied with what he saw in the church and seems to have come up with a couple of ideas. Then there is the thing with the strange man called Drummond who spends his time with the dog fights and seems to have a peculiarly looking dog with big claws. The second part of The Liverpool Demon takes delves deeper into the mystery that was started with the 1st issue. 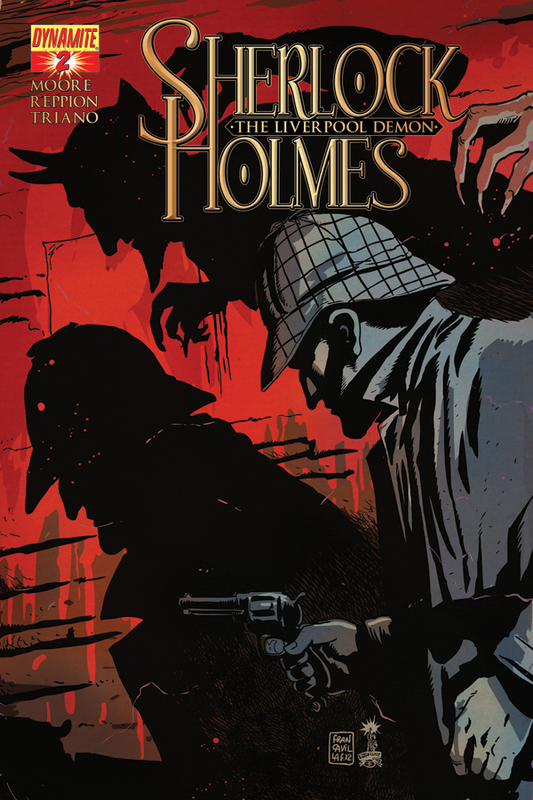 I really enjoyed the Holmes and Watson part of the issue as I felt that was the strongest part of the story. The part with Drummond was well kind of strange and the whole dog fight scenes seemed to be excessively gory but I’m sure as the story unfolds in the next issues it will make more sense. I had a problem with the art with this issue. It seemed to be pretty sloppy in parts mainly with the part that involved Drummond. Plus with the scenes in a dark area it made it look a bit worse than it should have. Put the art on the book besides those scenes are pretty good. Overall I have been enjoying the story so far and hope the rest of the mini-series turns out to be pretty good but so far so good for Sherlock Holmes: The Liverpool Demon. 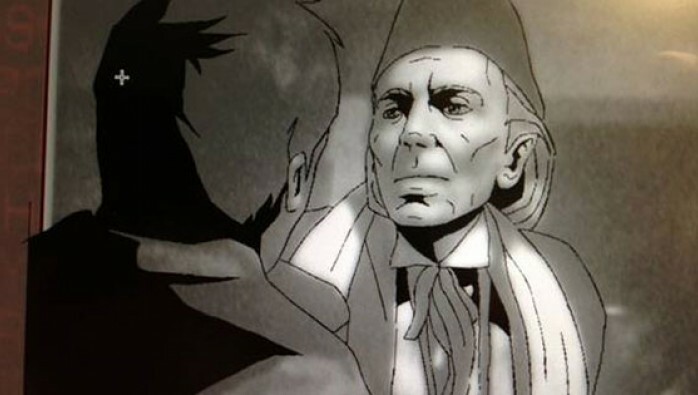 The Doctor Who News Page posted some pictures of the animation for the missing episode 4 of The Tenth Planet. They were released at a convention in Australia Whovention: Gold where Dan Hall of the Doctor Who DVD range was a guest along with some of the animators. In 1966 Patrick Troughton took over the role of The Doctor from William Hartnell. 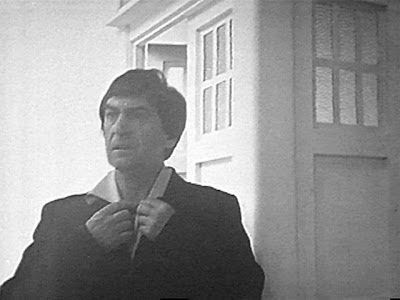 It has been said that William Hartnell approved of this choice and saying “There's only one man in England who can take over, and that's Patrick Troughton" well in my mind he was right as Patrick Troughton was an excellent choice to take over and in no time at all made the role his own. 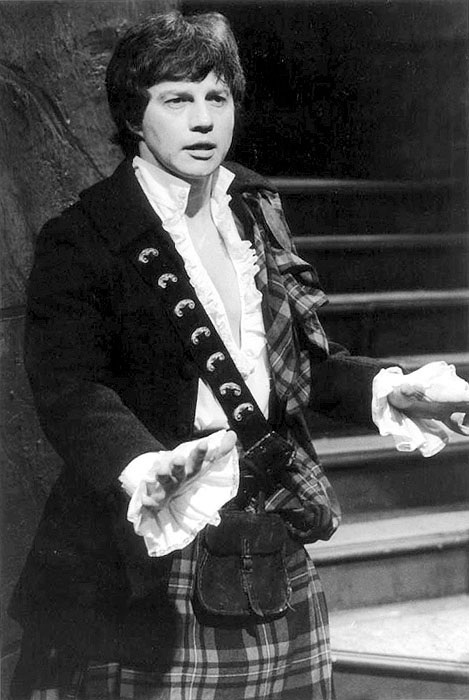 Frazer Hines has been announced as the first guest for the Long Island Doctor Who Convention which takes place on the weekend of November 8,9 and 10. Frazer Hines is a wonderful guest and tells a lot of great stories about Patrick Troughton and the Second Doctor era of Doctor Who. The New York Post and now confirmed by DC Comics has given away the ending to Batman Inc. Issue 8. If you want to know what it is then continue after the bump if not stop reading now. First Trailer For BBC3 Drama "In The Flesh"
"You belong to us. You shall be like us". As we are still reviewing the Second Doctor’s era for the 50th Anniversary, you can’t help but feel sadness, due to the many incomplete or lost stories. As much as we all keep our fingers crossed that some of these missing gems will be discovered in some dusty attic, we have to be realistic that as time goes on, the chances of finding anymore in playable, restorable condition diminishes. However, we are lucky to have some stories and episodes that survived the infamous BBC “junking” of the 60’s, one of which, Matt Smith himself has disclosed as his all-time favorites. And what a fantastic story to pick, Mr. Smith! Out of the many encounters the Doctor has had with the Cybermen, this story is one that many fans agree with Matt on, and consider it as arguably one of the best. Yesterday HBO released the first of probably many trailers for Series 3 of Game of Thrones. It returns on Easter on March 31st. Seems like Easter weekend is goimg to be a busy one. Found on Aintitcoolnews - some photos from the upcoming docudrama about the early years of Doctor Who. Raymond Cusick has passed away. Known for his work for the BBC and specifically on Doctor Who, Cusick had recently become ill. He died at the age of 84. 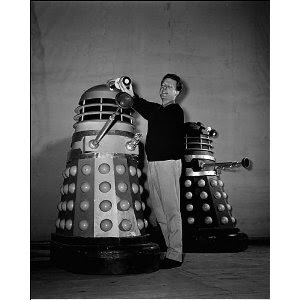 His most popular contribution was designing the Daleks, taking Terry Nation's ideas and making them come to life. The Daleks are one of the most iconic images in Doctor Who and Cusick was never paid royalties for his work although he was later recognized as the Daleks designer. 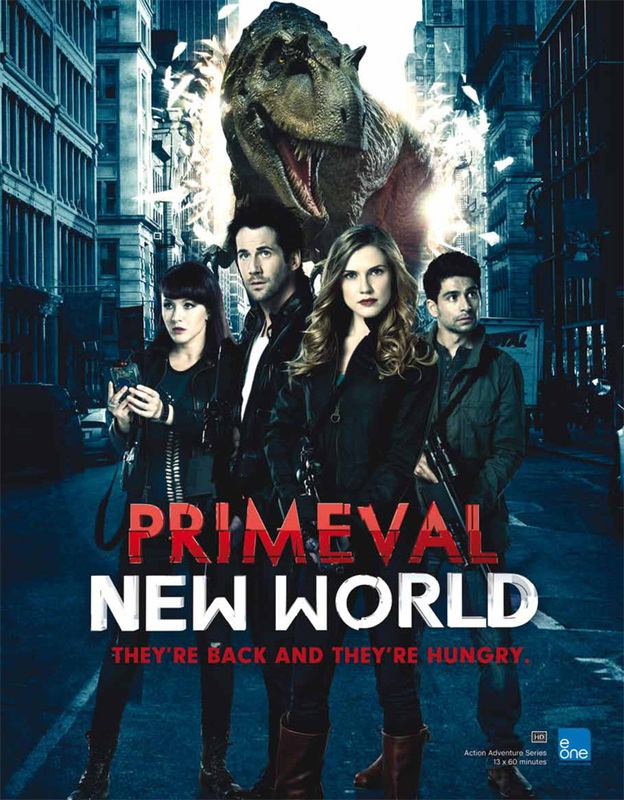 Canada's Space channel has canceled Primeval New World after one series. The reason of course is weak ratings which translates to that no one was watching the Primeval spinoff of the UK show. If you asked me the UK show was far better so this was not surprising. 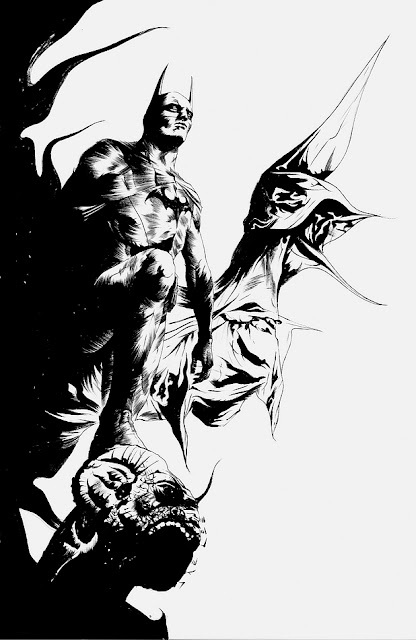 In June DC Comics will be bringing back the team up book Batman/Superman and give it a fresh look for the New 52. The book will look at how the two iconic characters first met in The New 52. The series will be written by Greg Pak and on art duties will be Jae Lee. DC Comics has announced the creative team that will be following Geoff Johns and his incredible run on the comic book. They will be Robert Venditti and Billy Tan on art duties. 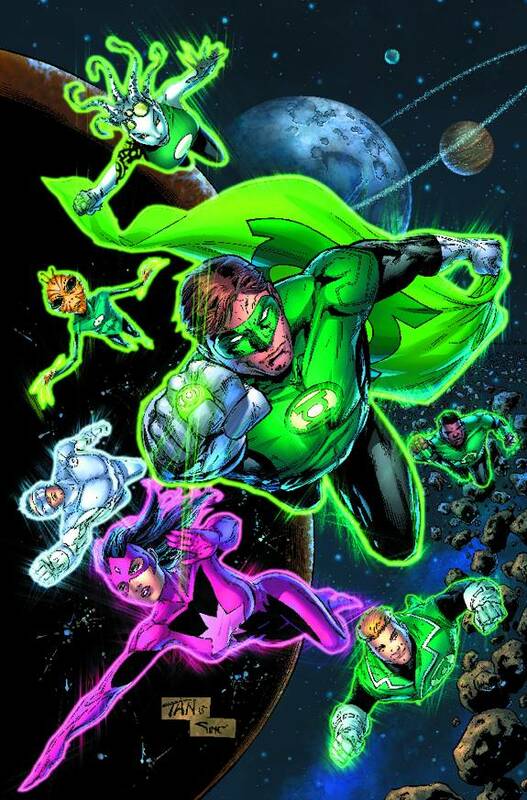 In fact all the Green Lantern books will be a new creative team also and those people are Joshua Hale Fialkov will be writing Green Lantern Corps and Red Lanterns with Bernard Chang and Alessandro Vitti. Green Lantern: New Guardians will have Justin Jordan and Brad Walker and DC will be adding a new book also as Orange Lantern Larfleeze will get his own book with by Keith Giffen and Scott Kolins. The nominations for this years Saturn Awards have been announced and this time around Doctor Who only got one nomination. 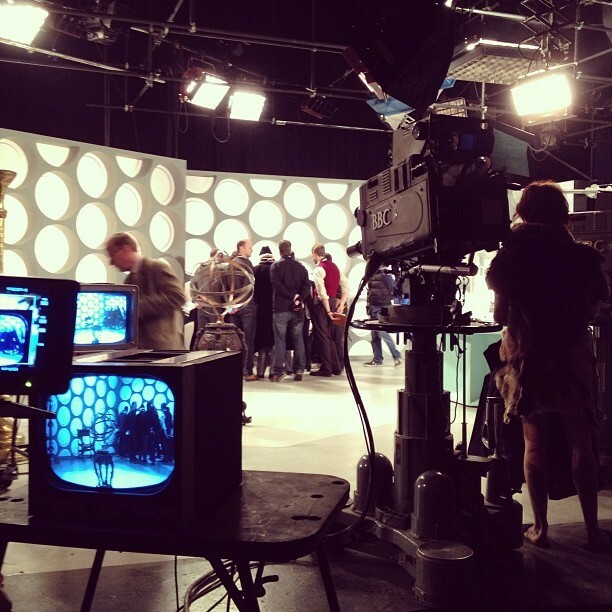 Doctor Who was nominated in the Best Youth Oriented Series on Television. Doctor Who will go up against Merlin, Arrow, Beauty and the Beast, Teen Wolf and The Vampire Diaries. No date on when the awards will be but if you want to see a list of all the nominees then hit the link below. I found this over at Blogtor Who and found it to be pretty interesting but as always remember the Moff lies. "Your leader will be angry if you kill me. I'm a genius." At the end of the twenty-first century, a teleportation technology called "T-Mat" has replaced all traditional forms of transport, allowing people and objects to travel instantly anywhere on Earth. Manned space exploration has ceased due to the ease of life on Earth. The Second Doctor, Jamie McCrimmon and Zoe Herriot arrive in a museum on Earth run by Professor Daniel Eldred dedicated to the obsolete technology of rockets. However, something goes amiss at the T-Mat vital relay station on the Moon and the system breaks down. With communications out and no way to reach the Moon without T-Mat, those responsible for the system, Commander Radnor and his assistant Gia Kelly, turn to Professor Eldred to help. He has been privately building a rocket in hope of re-igniting interest in space travel. In the absence of a space programme to provide trained astronauts, the Doctor and his companions volunteer to crew the rocket. Trailer For Tonights Arrow "Dodger"
"Of course he can. 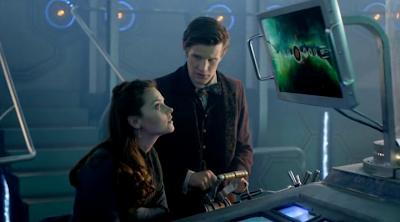 The Doctor's almost as clever as I am." 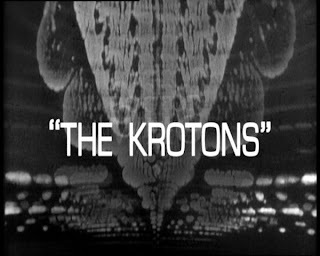 When the TARDIS brings the Doctor, Jamie, and Zoe to a strange unnamed planet they encounter the Gonds, a race of subservient humanoids who are controlled by ruthless crystalline aliens called the Krotons. The Doctor leans how the Krotons spaceship, the Dinatrope, crash landed after sustaining damage in a conflict in deep space. The Krotons remained in suspended animation, while their machinery searches for the mental energy they need to absorb to restore themselves. 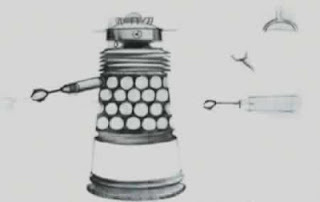 Tests are carried out at regular intervals on the population, with the two most intelligent Gonds sent to the Dynatrope to become companions of the Krotons - whey they are secretly drained of their mental energy and killed. When the Doctor and Zoe take the tests their immense intellects are enough to revive the Krotons. 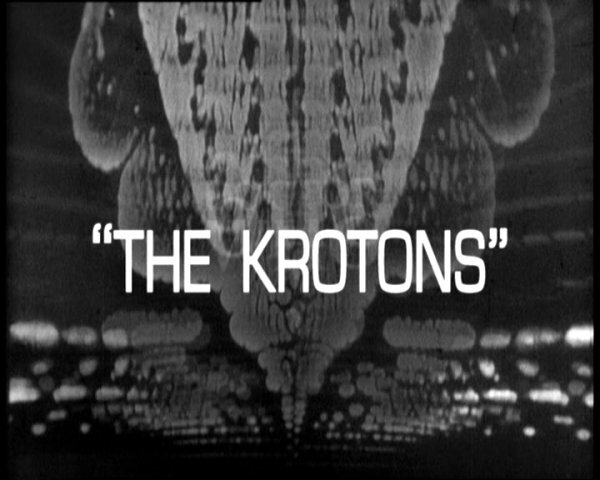 The Doctor works with the Gonds to try and find the Krotons weakness, but with the TARDIS under attack and Jamie a prisoner, the race is on to destroy the Krotons and their ship. September sees the release of a new James Bond novel and it will be written by William Boyd and will hit the shops on the 26th. The book takes place in 1969 and features a 45 year old Bond. 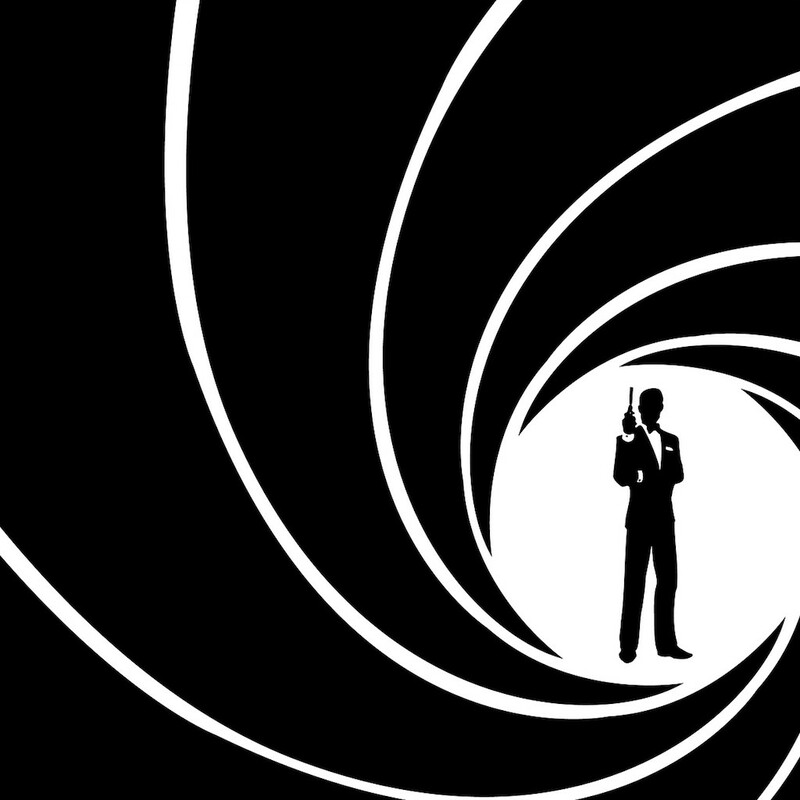 There is no titled announced yet but the book is being released to mark the 60th anniversary of the first Ian Fleming James Bond novel Casino Royale. 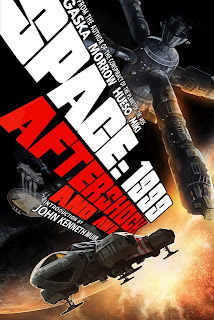 On September 13, 1999 an accident caused an explosion which knocked the moon out of the Earth's orbit. The people on Moonbase Alpha survived and went on to have many harrowing adventures in deep space. What of Earth? Was it devastated beyond all repair? Did anyone survive? 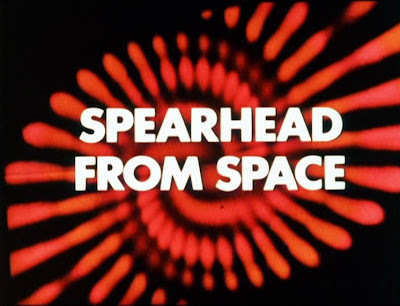 Now in this comic book continuation of the original Space: 1999 TV series we have our answers. “Who are you? Who are you? Where are you? What do you want with me? The Land of Fiction is a magical place where anything that is written becomes a reality to those who inhabit it. Where the TARDIS is blown to pieces and Jamie has a different face. Where the White Robots are like police and wooden soldiers walk among us. The Doctor, Jamie and Zoe have gotten themselves in a pickle and the ending might have already been written for them if The Master of the Land of Fiction has his way it won’t be a happy ending. 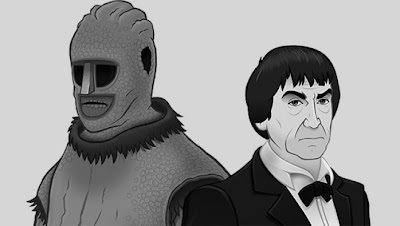 Reece Shearsmith Cast as Patrick Troughton For Doctor Who "An Adventure in Time and Space"
I found this over at Kasterborous and it appears that "An Adventure in Time and Space" will be going as far the turn over from William Hartnell to Patrick Troughton. As news has come out today that former League of Gentlemen star Reece Shearsmith has been cast as Patrick Troughton. Mark Gatiss had this to say about it. I first asked Reece about 12 years ago when I started thinking about this project. We were in the midst of League of Gentlemen and I just remember thinking, if anyone plays Patrick Troughton, it should be Reece. 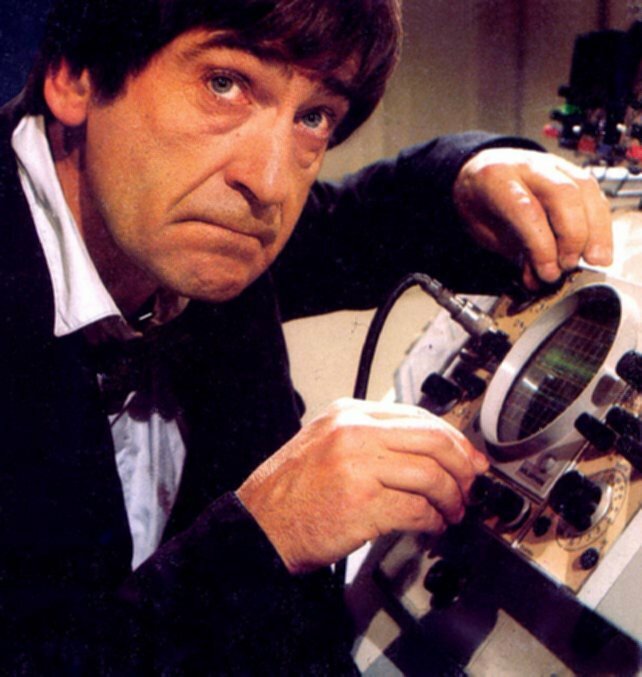 Like the second Doctor, he’s small, saturnine and a comic genius. The complete package. He thought it was a fantastic idea and I’ve kind of nurtured it all this time. “Reece has a funny relationship with Doctor Who – mostly to do with impressions of the Borad from Timelash! He and a friend were obsessed with season 22 [Colin Baker’s Doctor, 1985]. One of my earliest memories of Reece is him going, ‘I am the Borad!’ He’ll do the whole of Timelash at the drop of a hat. Which is a strange qualification. Sounds like "An Adventure in Time and Space" is going to be a pretty interesting special when it come out later this year. 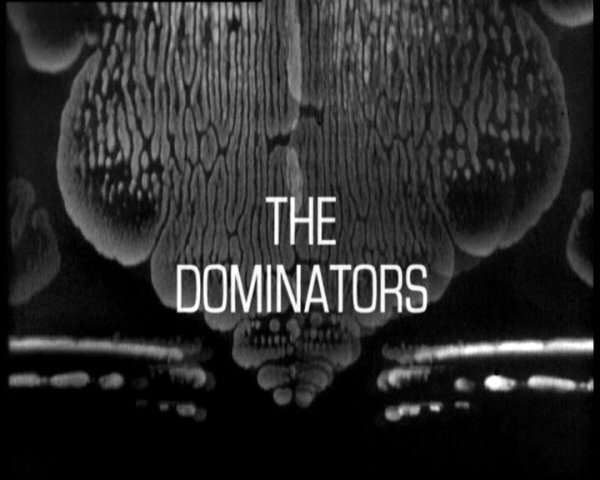 It's being reported on sites like Blogtor Who and Kasterborous that Nick Hurran has been tapped to direct the 50th Anniversary story. The story which is in pre production will start filming sometime in April. 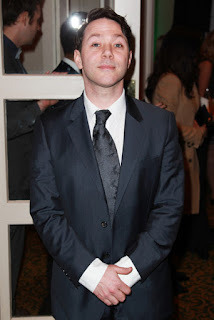 Nick Hurran announced the news himself while at the Glasgow Film Festival. Of course he did not spill the beans on what the story would be about. Nick Hurran has directed a number of Doctor Who stories mostly for Matt Smith on such stories as The God Complex, The Girl Who Waited, The Asylum of the Daleks and The Angels Take Manhattan. 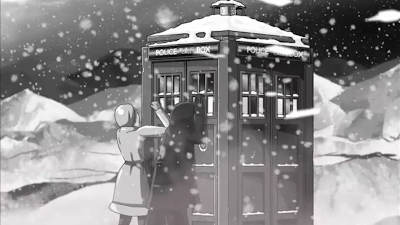 The BBC Doctor Who Website released a video with Mark Gatiss very excitedly showing us the recreation of the Daleks on Westminster Bridge from The Dalek Invasion of Earth which we'll see in the Docudrama "An Adventure in Time and Space"
The missing episode 4 for William Hartnell's last story The Tenth Planet will be animated. The DVD release is scheduled for later in 2013 and snippets of the animation was shown at the Gallifrey One convention taking place right now in Los Angeles. 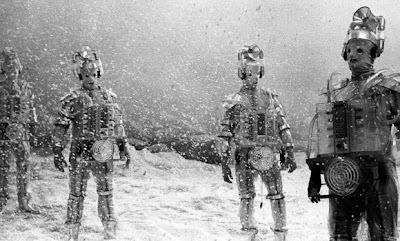 The Tenth Planet is of major historical significance to Doctor Who as the first regeneration took place in that story and it was also the first appearance of the Cybermen. Good news indeed for classic Doctor Who fans. 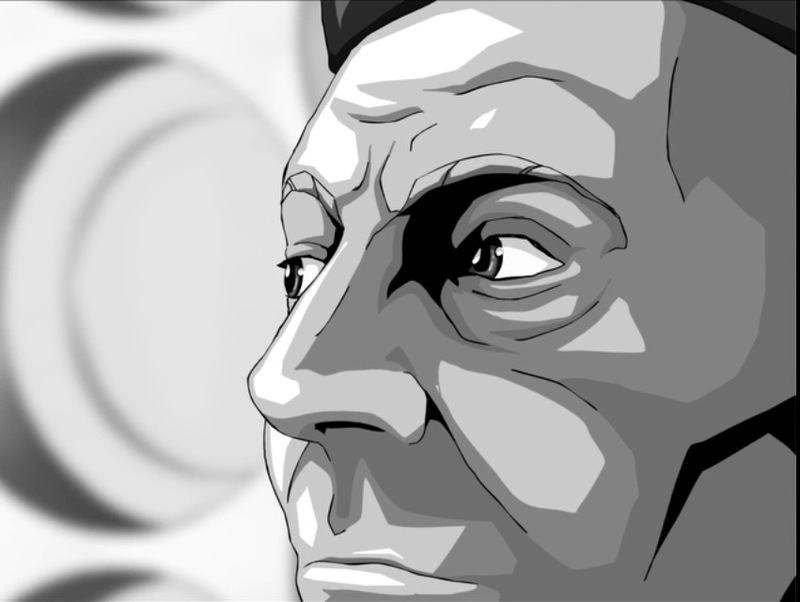 You can see pictures of the animation at the link below. Harrison Ford Will Reprise His Role As Han Solo! News has been floating round the internet today that Harrison Ford will be involved in the next Star Wars movies, supposedly Episode VII. There is also rumors that a young Han Solo movie is in the works and it is possible Ford might have something to do with this. This is the first confirmation of a returning performer set to reprise their part. 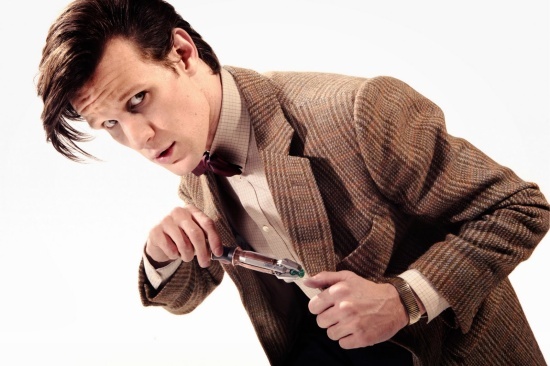 Doctor Who has been nominated for three Nickelodeon Kids Choice Awards 2013. The USA children's channel 26th Annual award show will be aired on Sunday March 24th on Nick at 5:30PM. Doctor Who is nominated in the following categories. 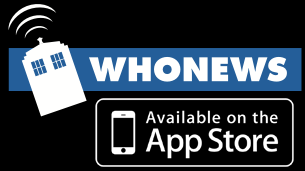 You can go to these links to vote for Doctor Who. 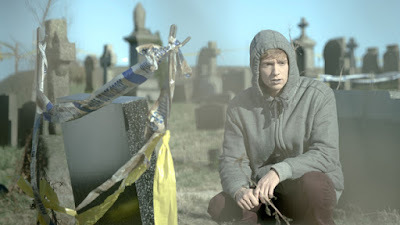 Synopsis For BBC 3's New Zombie Drama "In The Flesh"
BBC 3 seems to be capitalizing on the zombie craze that has taken affect on TV and movies and so forth. So here is the synopsis for their foray into the genre. 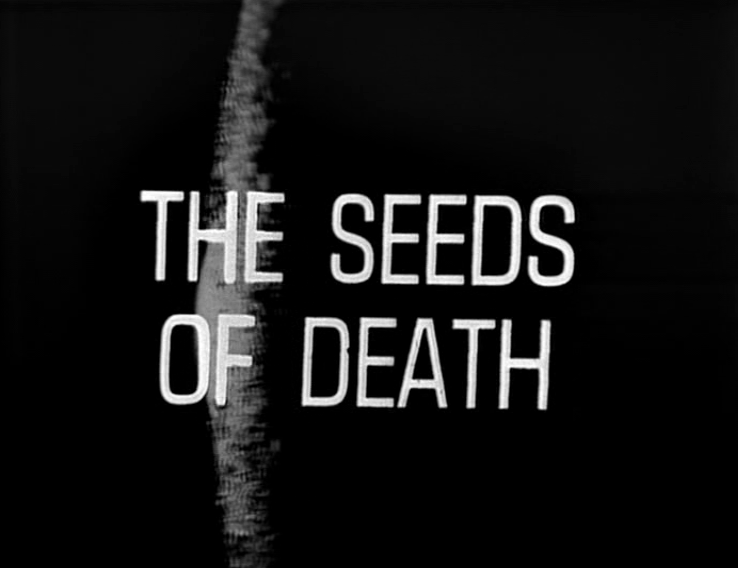 Now known as PDS sufferers (Partially Deceased Syndrome) - and since the passing of the PDS Protection act - the government have set an agenda of acceptance and tolerance, one that is at odds with the communities abandoned at the time of the rising, and the bloody battle between zombies and humans that ensued. Here is a link directly to Gizmodo with lots of video from the meteorite that exploded over Russia. MTV Geek has a pretty decent video from Toy Fair NYC 2013. Some cool stuff on display. Trailer For Tonight's Continuum "A Test of Time"
Trailer For Tonight's Continuum "Matter of Time"
Iron Man 3 - The Extended Look!